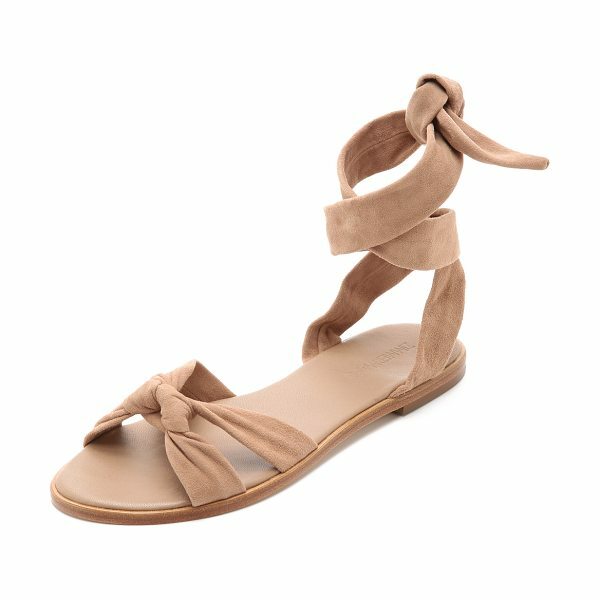 Supple straps knot over the toe and wrap around the ankle on these nubuck Zimmermann sandals. Leather sole. Leather: Calfskin. Imported, Brazil. This item cannot be gift boxed.